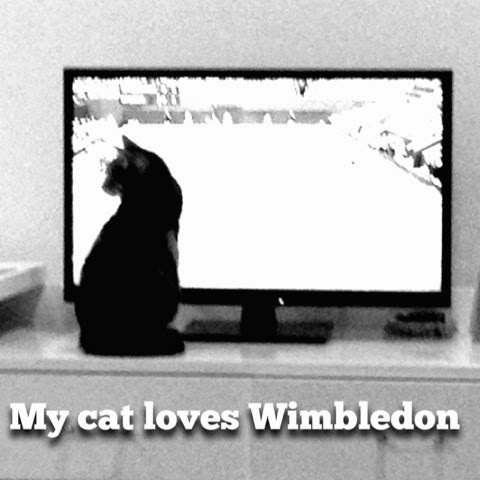 We're watching Wimbledon tonight. Tennis was my sport all through school, uni and my twenties. I played 3 or 4 times a week during those years - and I think it did me a lot of good. I'm sure, too, that it helped me develop certain personality traits - maturity, a sense of fairness, persistence, mental agility, social skills. I'd be a very different person without that influence. My cat, Mochi (that's rice cake in Japanese) is following the ball like it's an insect on the screen - so cute!